I can take some more pictures later if anybody enjoys those. 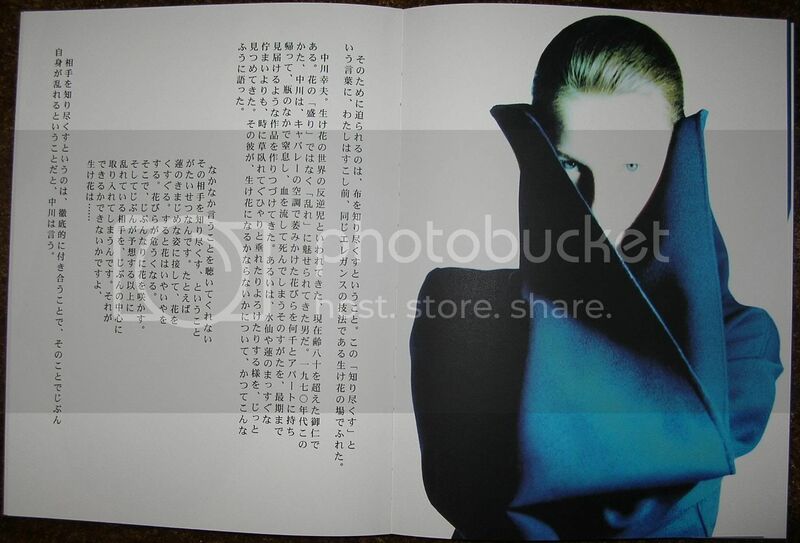 Also, a recent book I bought, "100 Contemporary Fashion Designers", has a brief interview and bio on Yohji Yamamoto. I could type it up if anybody's interested. excellent.. I just wish I could read it..
Last edited by jcotteri; 12-01-2009 at 01:47 AM. I'm sure they will, if not there are copies on Y! from time to time. let us raise a toast to ancient cotton, rotten voile, gloomy silk, slick carf, decayed goat, inflamed ram, sooty nelton, stifling silk, lazy sheep, bone-dry broad & skinny baffalo. amazon.com currently has a few copies of "Talking To Myself" for sale. the cheapest one is used at $350. 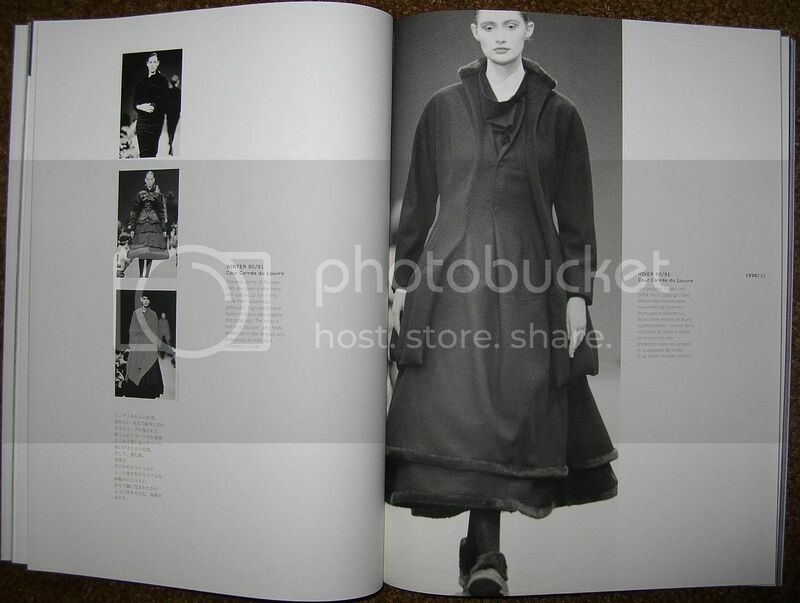 Many of the pictures above and others from classic collections are available in François Baudot's fine Yohji Yamamoto (Éditions Assouline, Paris 1997; English translation Assouline Publishing, New York 2005). The book that I have has 2 volumes. One of the volumes I didn't post any pictures from, and seems to have a lot of photos, in mostly chronological order, from 1981-2002. Are those available in that book as well? These are from the other volume. I probably won't take any more pictures of this volume because it doesn't lay to an open page as well, so it damages the binding and pictures are more difficult to take. Waw, thanks for the pictures ! I'd love to get that book but it's always so expensive, even on yahoo. Hope I'll get it one day. In the meantime I've ordered the Baudot book ! I don't remember where they're from, picked up somewhere on internet. When Yohji is applying his signature to the plaque in front of the Aoyama flagship...and he keeps erasing and re-doing it, until finally settling with one that probably wasn't the most perfect looking but somehow it felt right to stop at that exact try. My favorite moment in that film. Thanks Buckwheat for the ads ! "People wear my clothes to make a statement". "Off the so-called arts - painting, sculpture, etc-, only very few can influence people directly in the way fashion can, or music. Fashion is a unique and fundamental form of communication, that has to do with the feelings of a generation wearing the clothes it has chosen". "If fashion is clothes, then it is not indispensable. 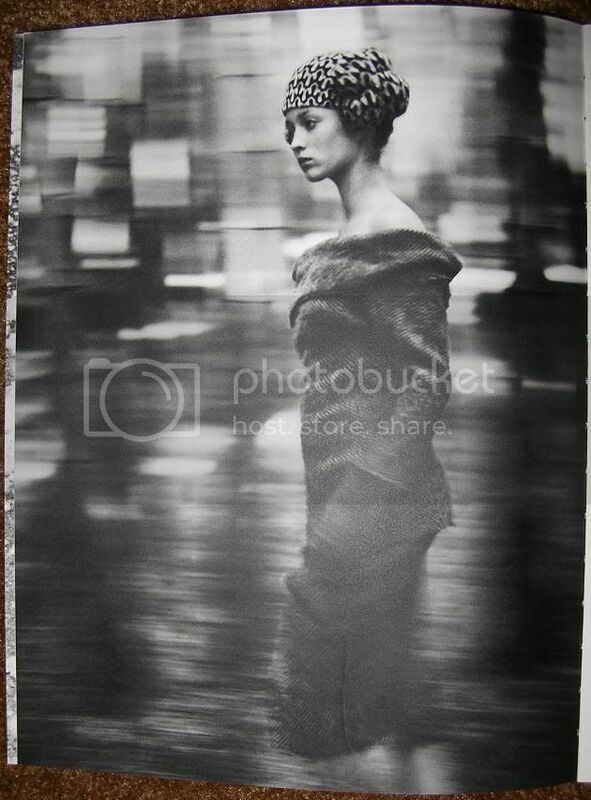 But if fashion is a way of looking at our daily lives, then it is very important indeed". This last quote makes me think about the title of his exhibition in Paris, Juste des Vêtements. This title always intrigued me. 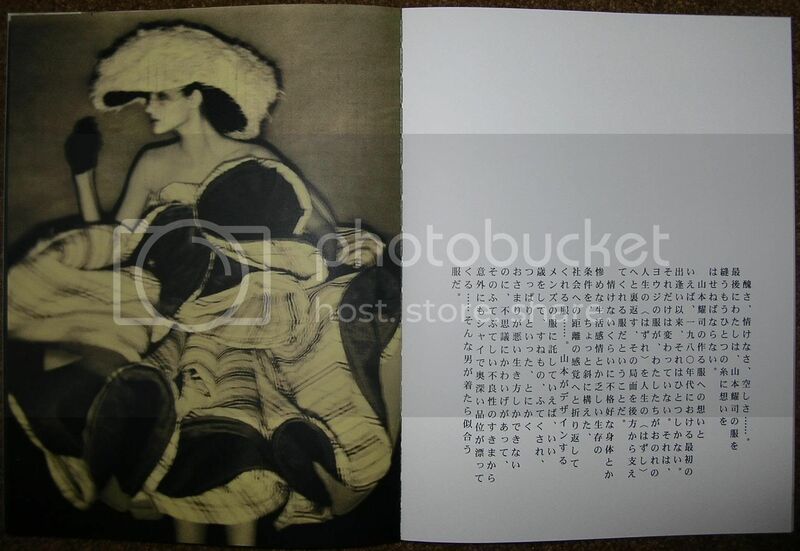 I understand that it reveals his modesty towards his work, "only clothes". For me this title also means that it shouldn't be taken too seriously. It's just clothes, let's be free, have fun, dare. But on the other hand, I think his clothes are so much than clothes. As the first quote say, wearing is clothes is making a statement. His clothes are not only clothes, there is an entiere philosophy attached to it. A vision of the body, a statement about what beauty is or isn't, the right to be imperfect, the purity of black, a kind of zen feeling... So many things that makes his clothes so much more than just clothes to me. BTW, Yamamoto and Ferragamo have partnered to make shoes back in March (I don't think we've discussed this). File under WTF. but they are so adorable. ...I mean the ephemeral, the fugitive, the contingent, the half of art whose other half is the eternal and the immutable. This last quote makes me think about the title of his exhibition in Paris, Juste des Vêtements. This title always intrigued me. 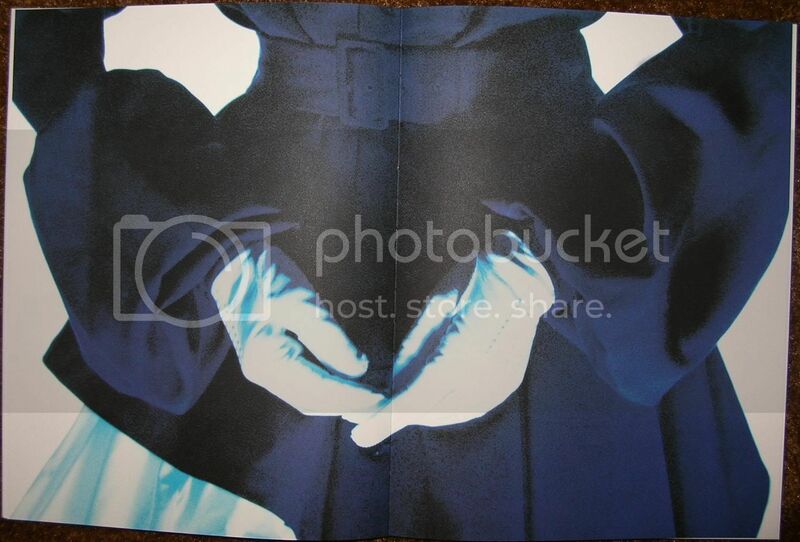 I understand that it reveals his modesty towards his work, "only clothes". For me this title also means that it shouldn't be taken too seriously. It's just clothes, let's be free, have fun, dare. But on the other hand, I think his clothes are so much than clothes. As the first quote say, wearing is clothes is making a statement. His clothes are not only clothes, there is an entiere philosophy attached to it. A vision of the body, a statement about what beauty is or isn't, the right to be imperfect, the purity of black, a kind of zen feeling... So many things that makes his clothes so much more than just clothes to me. 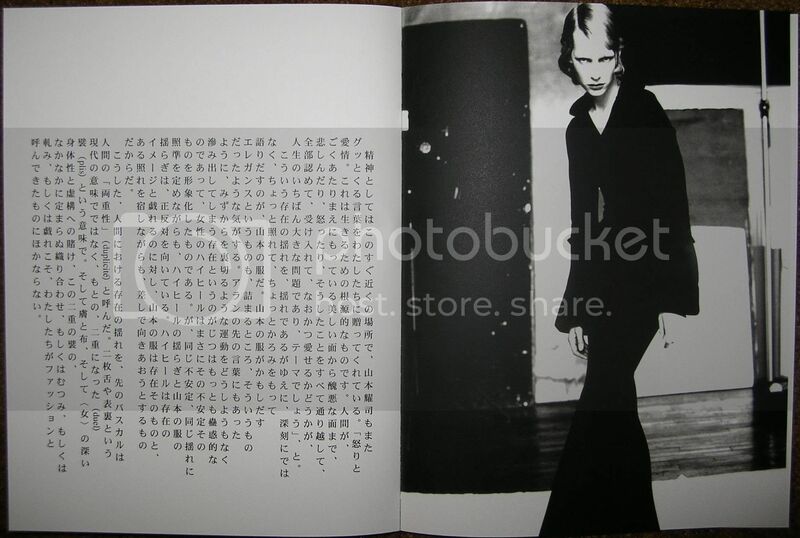 I believe Yamamoto's true (zen) message is that "entire philosophy" etc is not anything more than "just clothes". It's all intertwined in life. He wants people to wear his clothes like they wear reality. 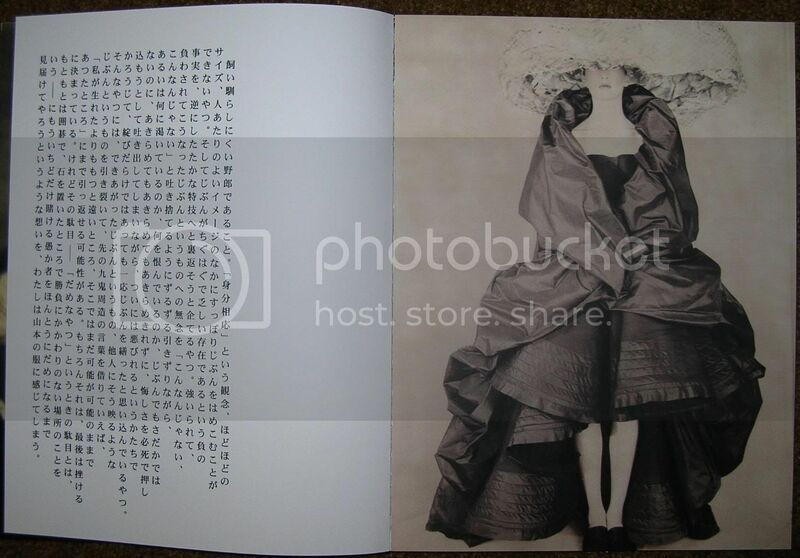 Is it true that Yamamoto and Kawakubo dated in the early 90's? Was this reflected in their respective work? All times are GMT -5. The time now is 03:31 AM.